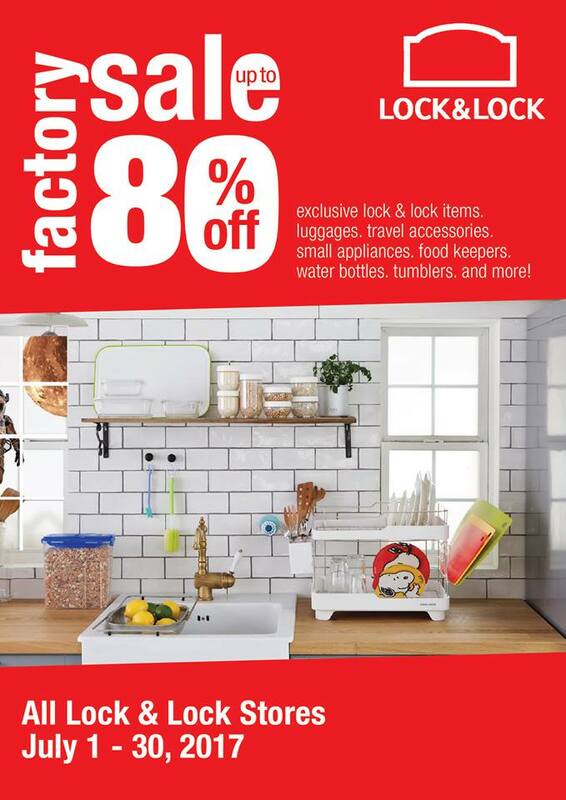 Home Promo Lock and Lock Factory Sale: Up to 80% Off! Lock and Lock Factory Sale: Up to 80% Off! Who doesn’t love Lock and Lock? From food container to water bottles, there’s always something for everyone! Enjoy up to 80% off until July 31! Previous articlePayless Anniversary Sale: Up to 70% Off!!! Next articleOne Day Only: Php10/L on All Phoenix Fuels!!! !